In 2019, things will change for British F1 fans that want to watch the Grands Prix without having to pay for a Sky Sports subscription. If you’re lucky enough to have Sky Sports F1 in your household, you’ll be golden. Sky will air all 105 sessions in total in 2019. However, if you don’t have Sky Sports, it will get more difficult. 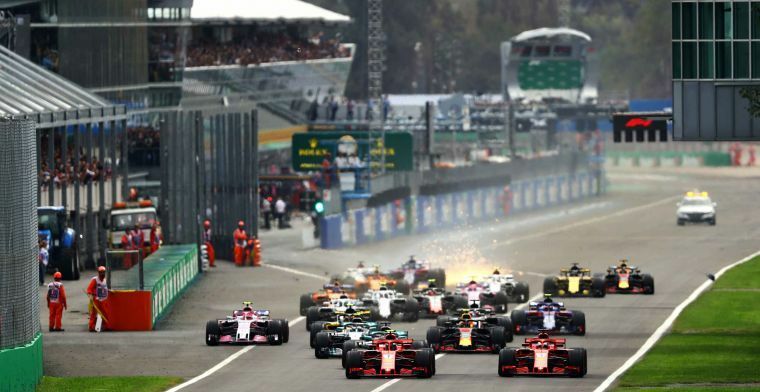 In a deal that was agreed upon in the Bernie Ecclestone-era, Channel 4 will now only have the rights to air one single Grand Prix in 2019 – the British Grand Prix. The other 20 races will only be shown in the form of a highlights package. Sky’s commentary team consists of David Croft, Martin Brundle and Ted Kravitz, alongside a star-studded group of pundits including Jenson Button, Damon Hill and Johnny Herbert. In that one race Channel 4 will have live coverage of, Ben Edwards David Coulthard and Mark Webber are the commentators, with Karun Chandhok and Lee McKenzie on pit-lane duties. In the United States, the F1 can be seen on ESPN and on ABC. The latter only has the rights to five races and just to the races themselves, so no Free Practice or qualifying. Like Sky Sports in the United Kingdom, ESPN is behind a paywall, but if you have it, you’ll be able to follow all of the action live. They show all practice and qualifying sessions live as well as the races themselves. They use the feed of Sky Sports (both ESPN and ABC), so if you’re watching from the USA, you’ll also hear the British commentary team of David Croft, Martin Brundle and Ted Kravitz. Univision Deportes serves as the F1 broadcaster for the Spanish-speaking community in the United States. Sergio Rodriguez and Christina Romero are on the call there. If you’re following the F1 from Canada, you’ll need to defer to TSN. Unfortunately, it’s also not free-to-watch, as TSN also borrows each broadcast from Sky Sports F1 in the United Kingdom. That means you’ll hear David Croft, Martin Brundle and Ted Kravitz describing all the action, although not every Free Practice session will be broadcasted live. In the Netherlands, you can get the qualifying and the Grands Prix for free if you have Ziggo as your tv provider. If not, you’ll have to pay to watch all things F1 at Ziggo Sport. The Dutch commentary team consists of Olav Mol and Jack Plooij. F1 TV Pro will also be available for purchase. If you’re tuning into F1 from India, you’ll need to get a subscription at Star Sports or for the Hotstar app. All Free Practice and qualifying rounds will be broadcast live, as well as the Grands Prix themselves, of course. You’ll get the first race of the season, the Australian Grand Prix, for free on Network Ten if you live in Australia. All practice and qualifying sessions will be covered live, as well as the race itself. For all other Grands Prix, you’ll have to pay for a Fox Sports subscription to gain access to the action. Fox Sports uses the British Sky Sports F1 feed for all of their coverage, so you’ll hear David Croft, Martin Brundle and Ted Kravitz on throughout all Grand Prix weekends.